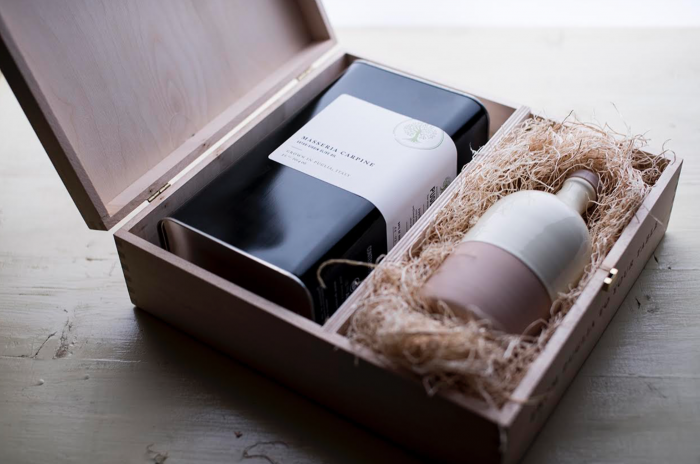 Adopt an Olive Tree – Adopt a tree in one of our family-owned groves and enjoy the bounty of its harvest: fresh, single-source extra virgin olive oil delivered to your door in a beautifully crafted box with a ceramic serving cruet. FarmShare – Try your hand at preparing a true Italian meal with a seasonal selection of artisanal food products from Puglia. Think pastas, artichokes in extra virgin olive oil, tomato sauce, tapenade etc. FarmStay – Join us during the olive harvest for a weeklong tour of our partner farms in Puglia. This is a unique experience for a foodie who wants to participate in the harvest firsthand and learn Italian cuisine alongside local cooks. After long days at the olive groves and mills during the November harvest season, December brings a palpable spirit of festivity to the air in Puglia! Being from Puglia, we spend a huge amount of time preparing, cooking and eating with the family. Like the harvest, meals during the holidays are special events – entire families come together to enjoy the bounty of the harvest! My favourite part is putting up the ‘presepe’ or crib scenes with my siblings and cousins and enjoying the fresh olive oil with homemade bread and wine! Whether your loved one is a sophisticated foodie, a savvy home cook, or Italophile, an Especially Puglia food experience is one-of-a-kind way to give a personal gift. Our selection of food experiences allow the American Italophile to experience the culinary traditions of Pugliese cuisine. Someone who loves to eat or cook – or both! Our products are non-GMO, sustainably farmed, and jarred at peak ripeness to ensure freshness and quality. Your Italian farm-to-table experience awaits!